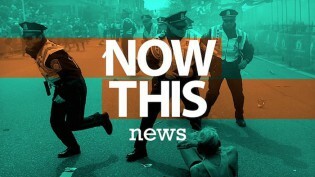 July 24, 2014, 1 p.m.
Digiday has an update today on the relaunch over at NowThis, formerly NowThis News. Digiday confirms some of what we reported a few months ago regarding changes at NowThis. Videos will be shorter — aimed at Vine and Instagram lengths of six to fifteen seconds — and focus on viral content, including science and op-eds. Digiday reports that the new strategy has led to increased reach, with a 75 percent audience increase on Facebook and a 1,300 percent increase in average monthly views. NowThis is still pushing their real-time newsroom for brands, though Mills said it can be challenging. In addition, there’s some skepticism about how much loyalty a publisher can engender when their identity is driven by form over content. For what it’s worth, Jay Rosen agrees. @benthomaspayne Meet your audience where they already are. Then you also need something to say, a distinct voice. “Content” doesn’t cut it. But for those who’d hoped that NowThis News might be figuring out a new model for fitting TV news into the mobile/social reality — it wasn’t that long ago that people were labeling it a “CNN killer” — the shift to more familiar viral territory is a little disappointing. O'Donovan, Caroline. "NowThis News drops the News from its name." Nieman Journalism Lab. Nieman Foundation for Journalism at Harvard, 24 Jul. 2014. Web. 20 Apr. 2019. O'Donovan, Caroline. "NowThis News drops the News from its name." Nieman Journalism Lab. Last modified July 24, 2014. Accessed April 20, 2019. https://www.niemanlab.org/2014/07/nowthis-news-drops-the-news-from-its-name/.